1. Laguna Visit Ranch. “A hunting experience for a discriminating sportsmen.” Located in Persall, Texas, about 45 minutes from San Antonio. Laguna Vista Ranch is known for the whitetail and some of the largest and rarest exotic animals in the world. 2. High Adventure Ranch. One of the largest big game hunting ranches in the US located in St.Louis, Missouri. The ranch offers all kinds of activity & vacation pacakges that can include a tour all around to see the game, fishing, lodging, and even canoeing and rafting. 3. Four Seasons Ranch. No, it’s not the Four Seasons you’re thinking of , but it is a more comfortable choice for the first-time hunter. Located in Persall, Texas. The Four Seasons is a 17,000 Sq. ft. Lodge with 10 bedrooms that can hold up to 40 hunters. Excellent variety of game from whitetail, hogs, quail, exotics, and more. They also offer other amenities like fitness room, sona, and arcade. 4. Stuyvesant Outdoor Adventures. If New York sounds like a more feasible destination for you and your crew, then here is one of the more popular hunting ranges in all of NY. Located in Stuyvesant, NY. This outfitter has breathtaking views, luxurious lodging, and plenty of game to work with. 1. Whisky Cafe. Located in one of the best bachelor party towns in the world. The award-winning Whisky Cafe in Montreal makes a great choice for a private whisky tasting carrying a selection of over 150 scotch whiskys. 2. The Whisky Attic. “The Whisky Attic Experience” is what they’re calling it. 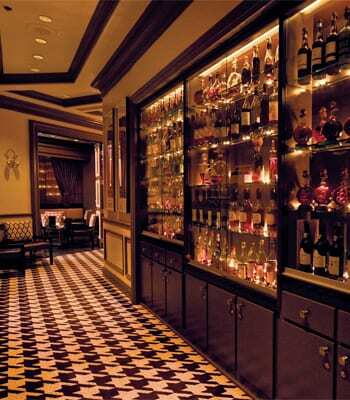 Containing the largest selection in America with over 850 from all over the globe, The Whisky Attic in Vegas is an experience you have to try. 1. OSG. 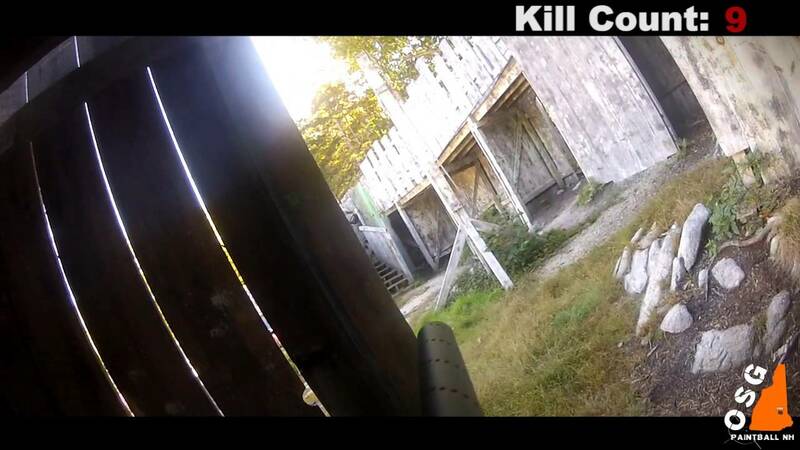 The largest paintball field in New Hampshire. OSG is known for their Big Game scenario events in which they recreate adaptations from video games such as Call of Duty and shows like The Walking Dead. 2. Splat Brothers. Virginia’s oldest and largest paintball field. 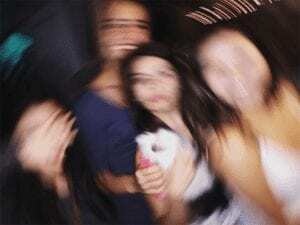 Known for their special bachelor party packages that include food, unlimited drinks, and a bunch of different games designed around the bachelor-freedom run. 3. Texas Paintball. #1 place to play in Texas. 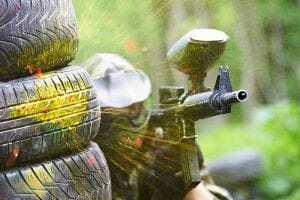 Located in Jonestown, txpb is a huge paintball field containing 10 fields across 40 acres of land. 1. Club Macanudo. Located in the heart of New York’s Upper Eastside. Club Macunuado has the right amount of elegance and class you need to kick back and choose from an assortment of over 130 premium handcrafted cigars. 2. Corona Cigar Co. Named “Best Cigar Lounge in the United States” by Cigar City Magazine. All three of their world-famous cigar superstores are located in Orlando, Fl. offering thousands of premium brands from all over the world. Plan your own all-inclusive private event and enjoy their specialty cigars, cigar rolling exhibitions and live music and djs. 3. Latitude LIT Cigar Lounge. This is not just your average cigar lounge. Latitude 360 doesn’t only offer their luxury boutique cigar lounge Latitude LIT, but the ultimate restaurant & entertainment. With 3 locations in Fl, IN, and PA, each about 35,000 to 85,000 square feet, Latitude 360 is a culmination of everything you can think of in entertainment from cigar tasting, sporting parties, live shows, bowling, an interactive gameroom, etc. Basically, ALL stripper-free activities gathered into one location! 1. Acadia National Park. Located on Mount Desert Island, Maine. Hike through its remarkable granite peaks, bike the historic carriage roads, or take the challenge in climbing up Cadillac Mountain-tallest mountain on the U.S Atlantic coast. 2. Yosemite National Park. Located in East California and covering around 761,000 acres of 95% wilderness, this is truly the dream camping trip for all nature lovers. 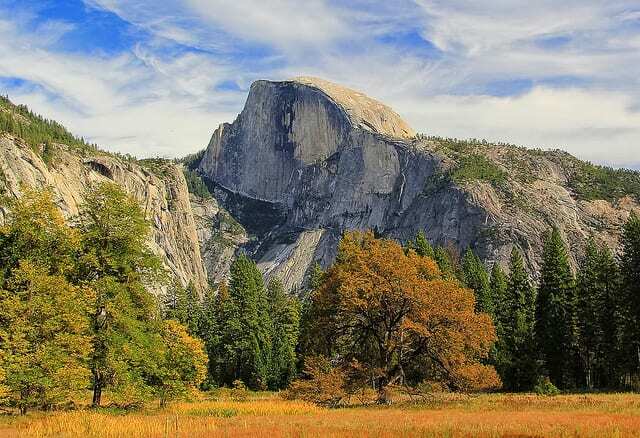 Experience the outstanding Yosemite Falls (tallest falls in North America), take the 14-16 mile daring hike to the top of the famous “Half -Dome”, or take a journey through Glacier Point. 1. The Hideout. This 100-year working cattle and horse ranch in Wyoming will surely give you the true cattling experience you are looking. It’s an all-inclusive ranch known for their working cattle, world class riding, and fly fishing all on their 300,000 acre ranch. And if that’s not enough they also offer non-riding activites such as trapshooting, canoeing, 4×4 tours, etc. 2. Rowe’s 1+1 Ranch. Approved by the renown Dude Ranch’s Association, featured in Top 50 Premier Ranch, and named “Best U.S Cowboy Experience” two years in a row by Rustic Vacations. Learn to work cattle, ride the range, and experience life as a true cowboy in the real Western American heritage. 1. E3 Expo. Largest interactive show dedicated to gaming in Los Angeles, CA held for 3 days between June 10th-12th. Catch one of the world’s biggest trade shows in computer and video gaming. 2. PAX East. 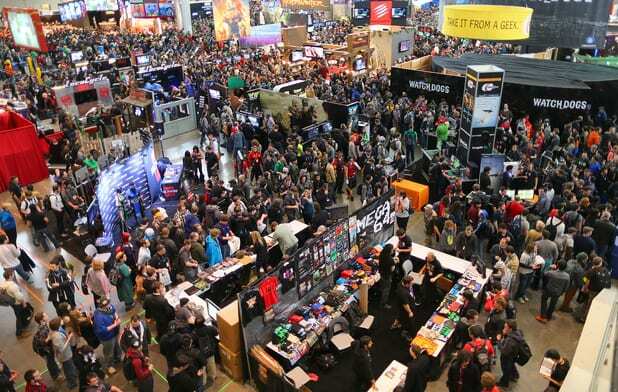 Every year thousands are signing up to get the real PAX experience. This epic gaming event is a pandemonium of tournaments, countless exhibits, and concerts. Their two shows in Seattle and Boston are the two largest gaming events right now in North America. Shows are held from April 11th-13th. 3. Origins Game Fair. Experience 5 full days of play at one of North America’s biggest gaming events held every year between June 11th-15th at the Greater Columbus Convention Center. 1. Jackson Hole Mountain Resort. Ranked #1 overall resort by Ski Magazine. Known for its steep and deep mountains like Rendevzous Mountain, Jackson Hole in Tenton Village, Wyoming is the perfect getaway for any thrill-seekers who want to show their skiing or snowboarding skills. 2. Vail Mountain Resort. Nothing like a skiing trip in Colorado. 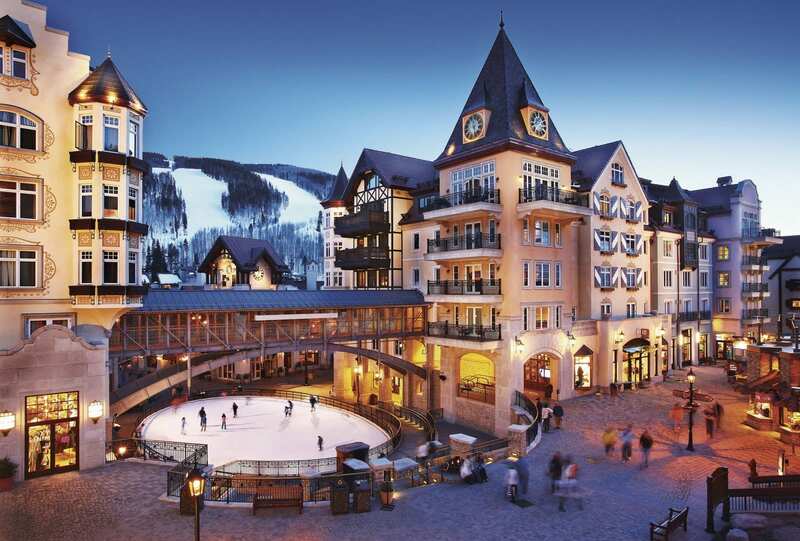 Vail is the ideal ski resort destination in North America with 5,289 acres of skiing terrain making them the second largest ski resort in the U.S.
1. Marauder Fishing. Located in Miami, Fl-the sportsfishing capital of the United States. Maraduer will make sure you get the ultimate sportsfishing experience, specializing in kite fishing all kinds of gamefish that make their way into the Miami Atlantic waters. 2. The Predator. Join Captain Steve Jones and The Predator on the waters of Lake St. Clair & the Detroit River, one of the top freshwater fishing areas in the U.S.
1. Skydive Space Center. Located in Central Florida- known for their World’s Highest Tandem Jump (18,000 ft.) . The name comes from the exceptional view flying over the entire space coast and the shuttle launch pads and runway landings from NASA. 2. Start Skydiving. Named “the #1 place to skydive in the world” by dropzone.com. Located in Middletown, OH. Start is the top place for Tandem skydiving in Ohio, Indiana, and Kentucky. 3. Chicagoland Skydiving Center. This world class skydiving center offers the ultimate skydiving experience and the best training possible for the first time flyer through their renowned skydiving school. One of the highest rated centers according to dropzone.com. 1. Lofty Peaks. 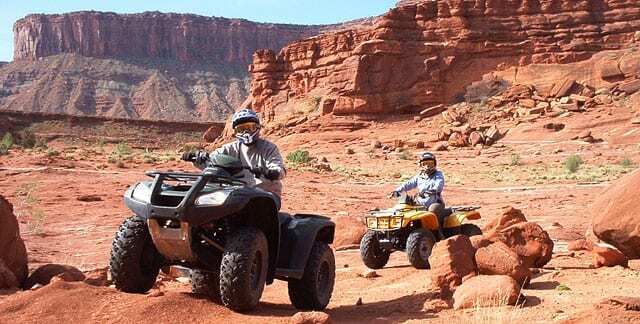 Utah’s largest state park with over 100,000 miles of riding terrain and breathtaking views. 2. Bar 10 Ranch. What better place to ride than the one and only Grand Canyon. Located on the north rim of the canyon, Bar 10 will take you on an unforgettable adventure through the unique ruggedness of the Grand Canyon. 3. Carolina Adventure World. Southeast’s largest private off-road ATV, UTV, and Dirtbike park with a 100 mile custom groomed trail system located in Winnsboro, South Carolina. 1. Melia Hotel & Resort. 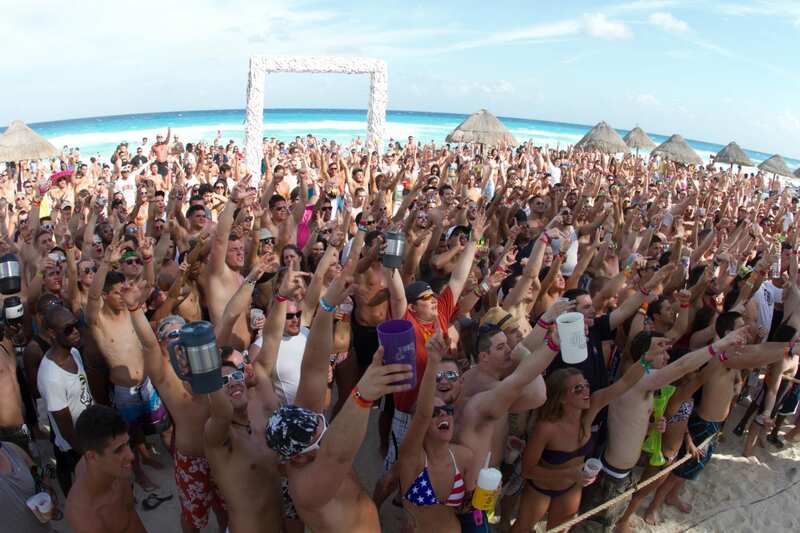 Located in one of the biggest party cities around, Cabos San Lucas, Mexico. Melia is the place to stay in Mexico. Golf at the popular Cabo Real Golf Course, grab a bit at Nikki Beach restaurant, or lay under the palms on the beautiful Medano Beach. 2. Hard Rock Hotel Cancun. If you’re over 21 then I’m sure you’ve been to Hard Rock..but have you been to HR Cancun? The ultimate all-inclusive playground resort right on the beach, luxury dining, entertainment, golf, you name it.